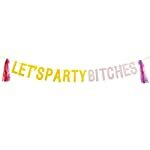 FUNNY BACHELORETTE PARTY BANNER: This pre-assembled hanging banner is just the thing for any upcoming bachelorette events, engagement parties or just preparing for a rager out with the gals! Also includes 6 brightly-colored neon tassels, with 3 in red, and 3 in purple color. 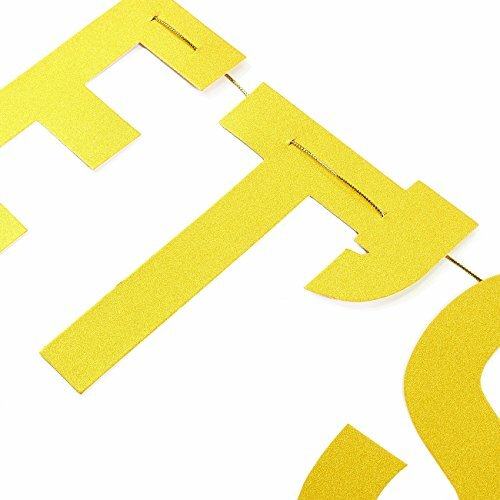 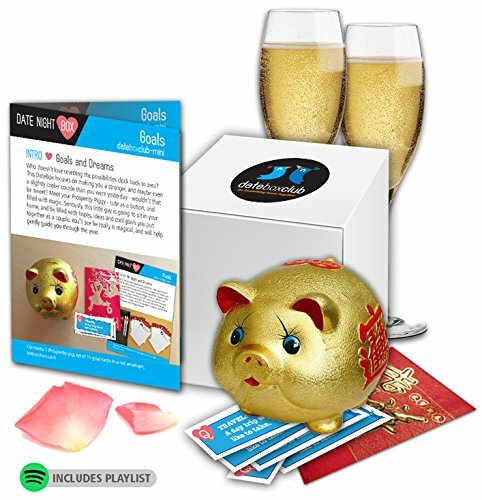 HIGH QUALITY CARDSTOCK: The entire banner is made of double-sided glitter paper and made of 250 gsm cardstock, ensuring reliable long-term usage. 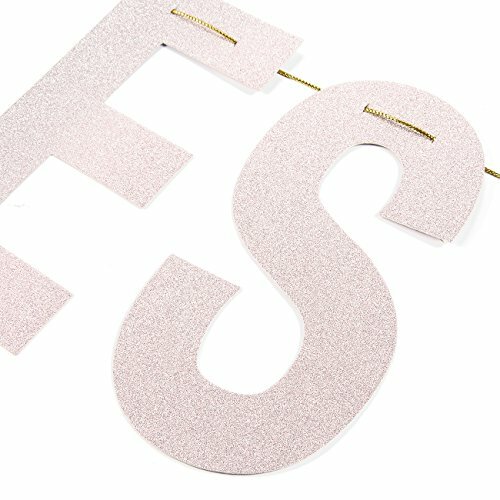 VIBRANT GOLD AND PINK DESIGN: Using laminated glitter paper and a charming font, each letter stands out clearly and really helps in adding a feisty atmosphere to your fiesta or celebration! 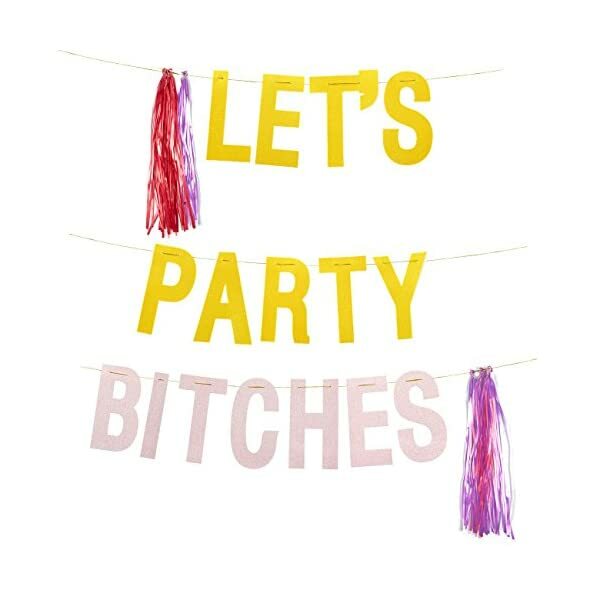 It’s time to get the party started! 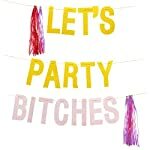 And what better way to get it started than with a real bang? 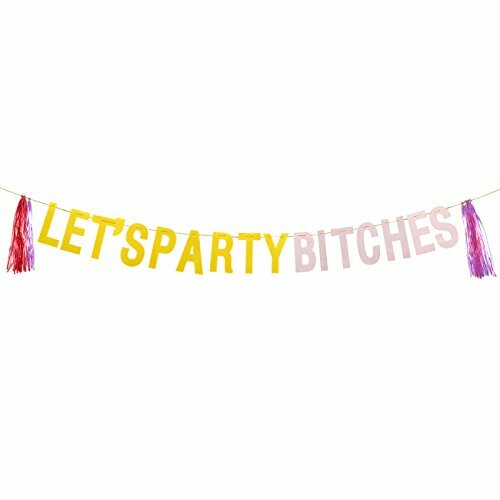 Get your hands on this “Let’s Party, B*tches” hanging banner to let the party know loud and proud that you and the girls have arrived! 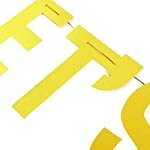 The banner itself features a gold and pink decorative design with 6 brightly-colored, neon tassels and the space between each individual letter is adjustable. The entire banner is made of 250 gsm cardstock, ensuring reliable long-term usage. 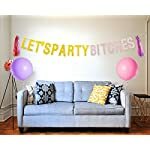 GET IT UP, ANYWHERE: Hang up this banner wherever your bachelorette party may be; at your, or your friend’s home, bar, club, event hall and anywhere else you can think of!